What is a Business PowerPoint&Reg; Presentation? PowerPoint presentations use a slideshow software created by Microsoft. Business speakers often want to use professional software for slide presentations. 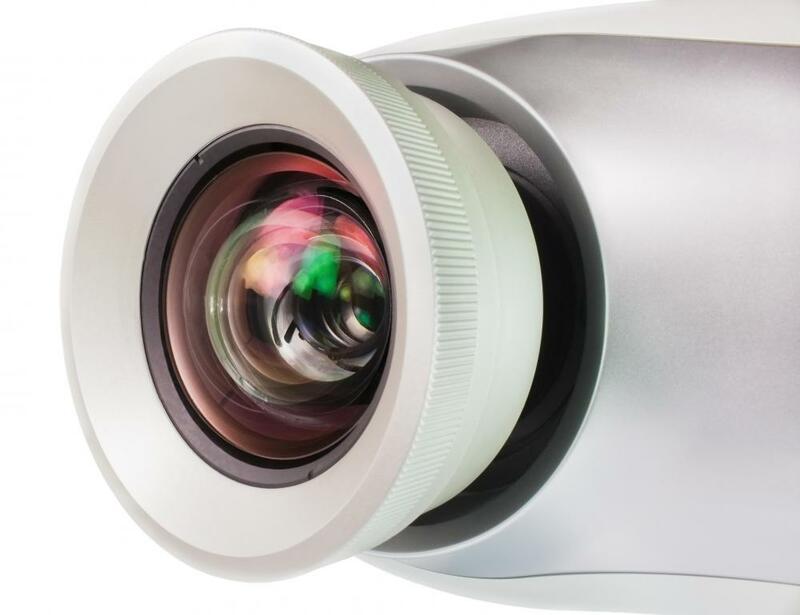 Digital projectors may be used to make a business PowerPoint presentation. A business PowerPoint® presentation is a slide-show presentation created using Microsoft's PowerPoint® software for sales or company purposes. Many businesses make use of PowerPoint® presentations because they are relatively simple to make, and can make the sharing of information simpler and easier. In addition, a business PowerPoint&presentation; may be shared in person or online, which can save time and money. There are many reasons to create a business PowerPoint® presentation. Each of these presentations can contain text, images, video, and sound, so virtually any information can be included. For instance, one might add a chart or graph to one slide with a brief sentence of explanation; then, when presenting the PowerPoint® slide show, he or she can further expand on what the chart means. A business PowerPoint® presentation is often used in sales, when trying to pitch a new idea to a company. Using voice chat or mobile meeting software, a business PowerPoint® presentation may be shared online. People working in different locations may all log in at the same time, and watch on their own computer screens as the presentation is explained. This can be a great way to share a lot of information with people in other company locations, while avoiding the need for costly travel and working time lost. If it is not necessary to explain the PowerPoint® presentation, the slide show may simply be downloaded and viewed on the user's own time. Within PowerPoint® software, it is possible for the speaker to create notes for himself or herself that only he can see. This can make it easier to present the slide show, particularly if one gets nervous or tends to forget things when speaking in front of others. Animations and various fonts and texts may be used to make the PowerPoint® presentation more visually interesting. It is generally a good idea to vary the format in which information is presented, in order to keep viewers more engaged. Someone who owns their own business may also make use of a business PowerPoint® presentation. A professional photographer, for example, might create a PowerPoint® presentation to showcase his or her work for potential clients. Of course, this type of software is not only used in the business world; it is also often used in schools to create presentations. Students may create their own presentations for class projects, or teachers might place information in a PowerPoint® presentation to make it easier for students to take notes. 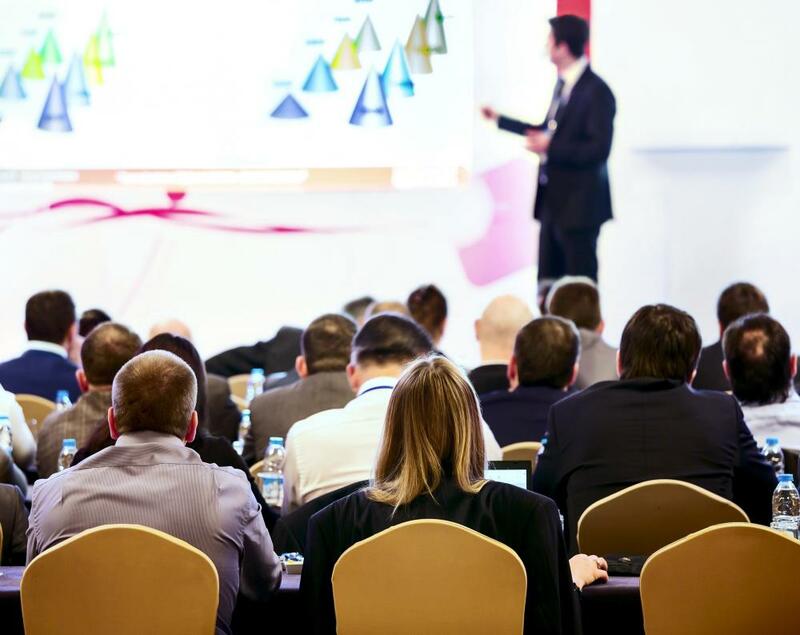 What Are the Different Types of Advanced PowerPoint® Training? How Do I Choose the Best Online PowerPoint® Classes? What Is a Multimedia PowerPoint® Presentation? How do I Make an Investor Presentation? What is Video Presentation Software? What is an Online PowerPoint&Reg; Presentation? I have made some instructional how-to videos and uploaded them to YouTube. Using the Microsoft Office Power Point software has made this very easy to do. When I have all my information gathered and my slides completed, I will use the sound options to add voice instruction or have music playing in the background. Having a professional looking slide show really makes a difference in your presentation skills. Even if you don't use many special effects, your presentation can still be effective. I can't imagine putting together a presentation without using Power Point. I work in human resources, and we are constantly doing training programs. Using the Power Point software is a crucial part of my business training. It seems that the training material is always changing, and it is so easy to make changes to each individual slide when you need to. I like having the option of using different themes. Depending on the nature of the material I am using determines which theme I use. Using special themes for certain subjects is another way I keep my material organized. I work for a real estate company and often create powerpoint business presentations for our sales meetings. The Power Point software makes it so easy to insert photos and graphs that are included in the presentation. Once you get used to using this software, it does not take very long to put together a presentation that is informative and professional. You can make these slide shows very basic or experiment with all of the special effects to make some points really stand out. Anytime I am giving a presentation like this, I always make sure I have a laser pointer so I can point out information on the slides that I need to bring attention to.